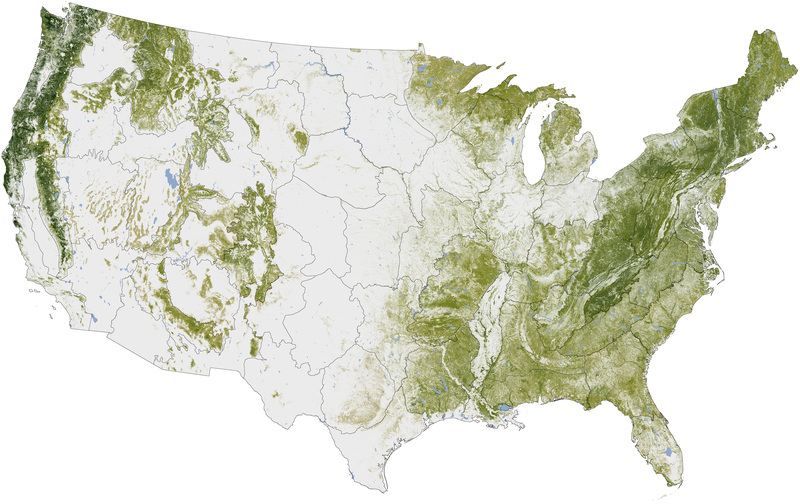 Josef Kellndorfer and Wayne Walker of the Woods Hole Research Center recently worked with the U.S. Forest Service and U.S. Geological Survey to create an extremely detailed map of all the trees in the United States. It took the team six years to collect the data for the map with help from a space-based radar, satellite sensors, computer models and a massive amount of ground-based data. They managed to visualize the American forests with an accuracy of 30 meters. Click here for the full map.